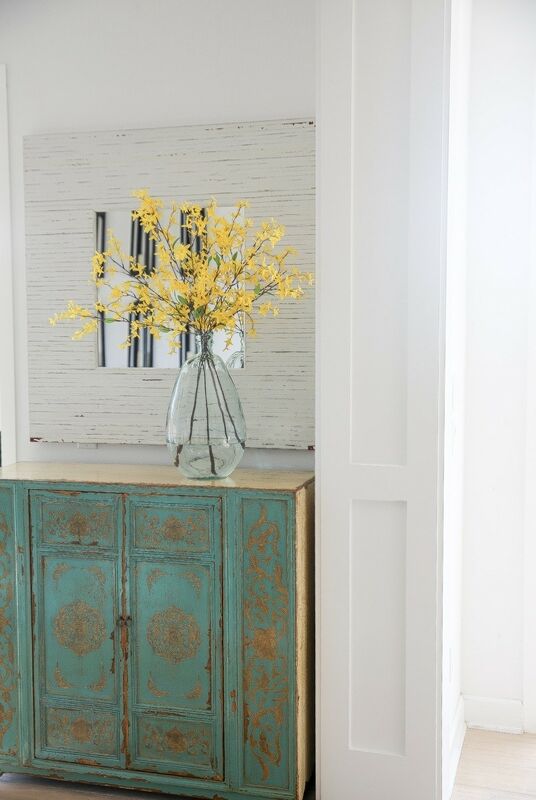 Spring is the perfect time to clean and transition your home to a more livelier motif. There’s nothing better than coming home to a clean house and that’s always been my motivator when Spring rolls around. If you struggle to keep your house clean though, for whatever reason, then it might be a good idea to get house cleaners to help you out. Don’t forget the windows too, if you need a Toronto window cleaning service try Nick’s Window Cleaning. 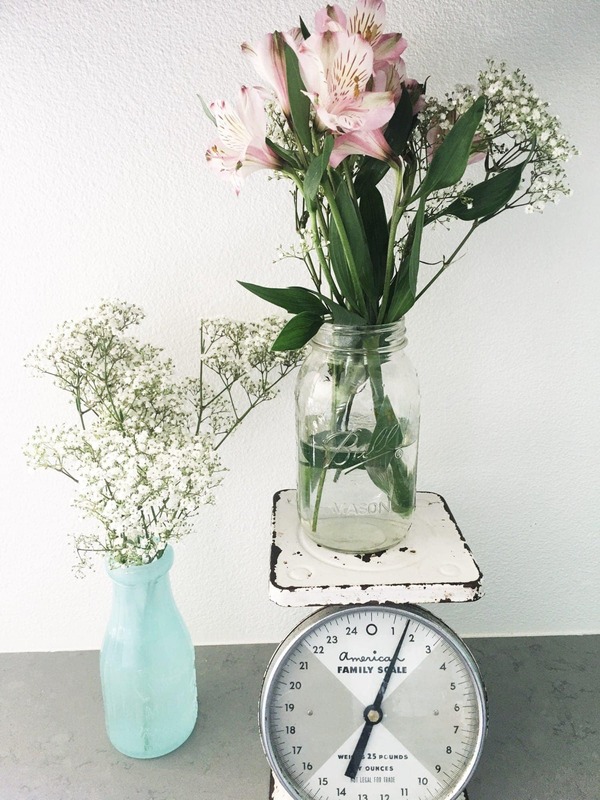 I have always felt our home is the one place where we spend most of our time, so adding a few spring elements would only be natural. I want our home to feel inviting for my family and for those who visit us. 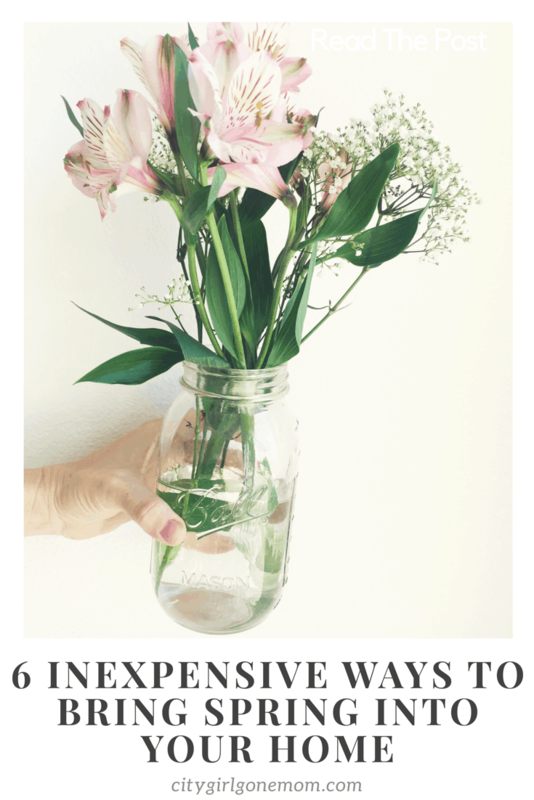 With a little searching, I found some fun effortless ways to freshen up our space without breaking the bank. 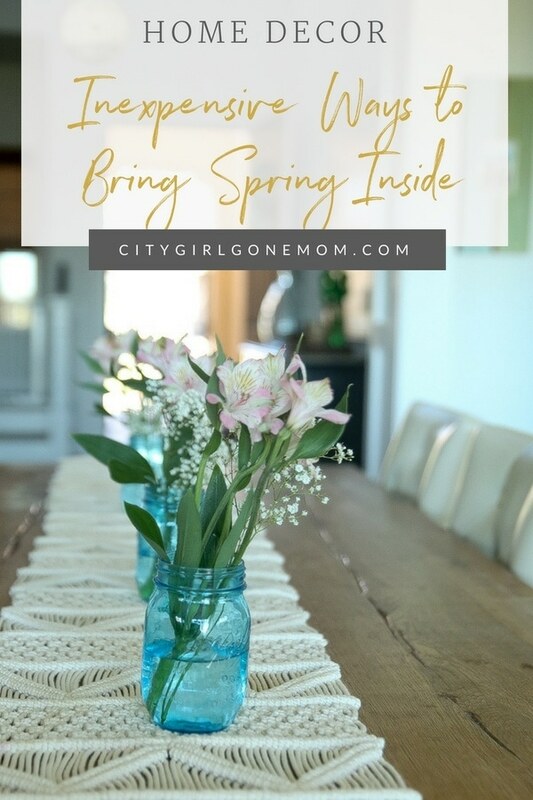 Sunnier days are finally here and I can’t wait to show you how I brightened up our home, just in time to blossom this Spring! 1. Flowers- My favorite, low maintenance way to invite sunnier days is with flowers. They don’t have to be real, but they should be colorful. My choice this spring is yellow! 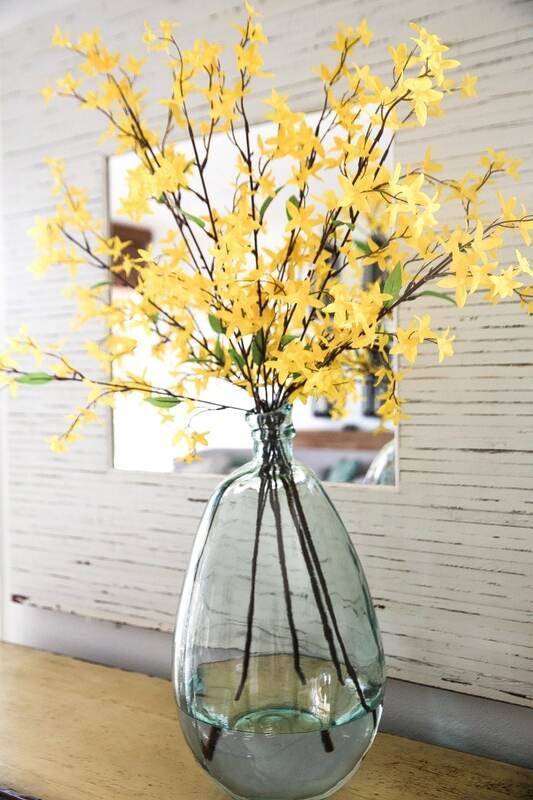 I love this vase I found online because it has a hint of color, but still clear so I could see the stems. 2. 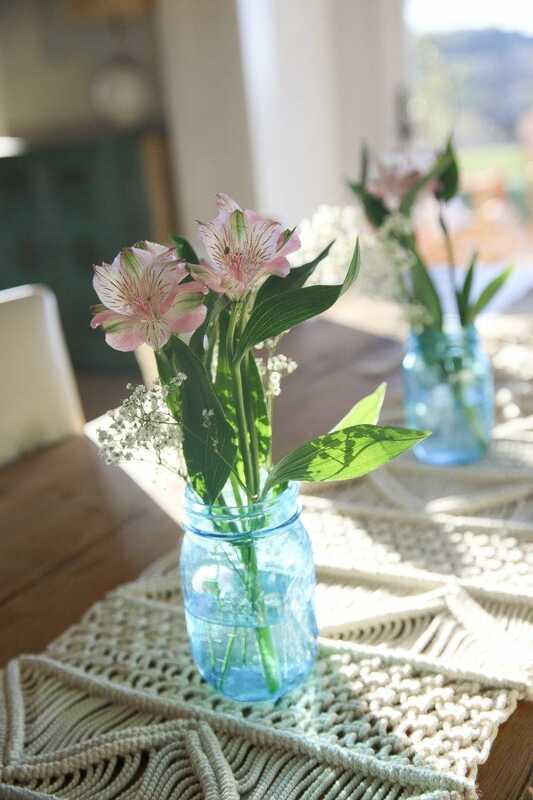 Small Glass Jars- When I found these mini glass jars I was elated because I could freshen up my home office in a linear way. 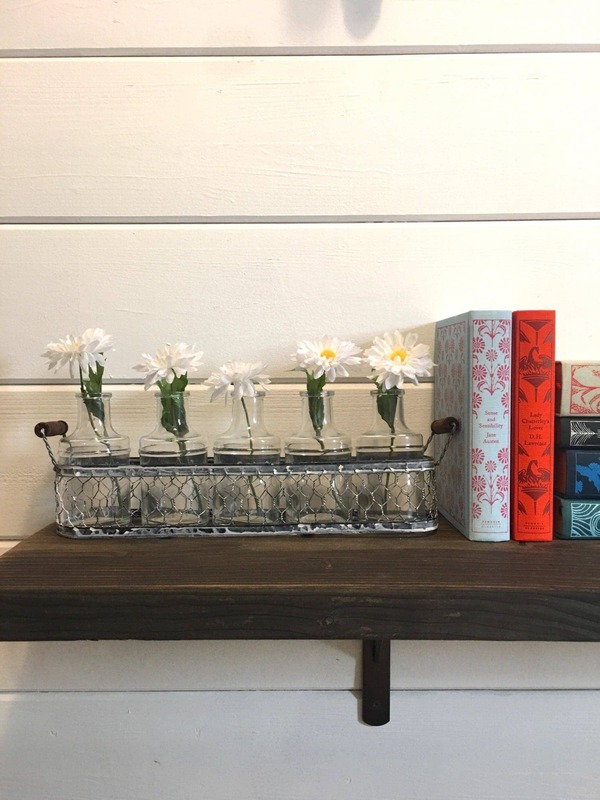 I love the way the cards look against my shiplap walls and the little daisies sing Spring! 3. 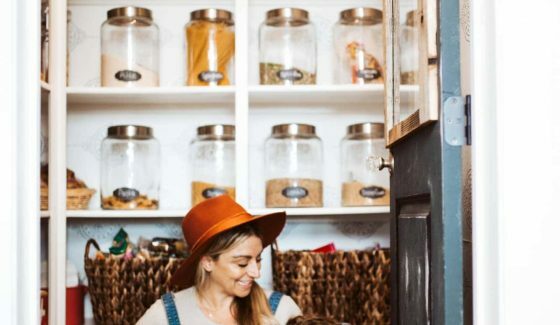 Mason Jars- When it comes to mason jars, one can’t have enough. 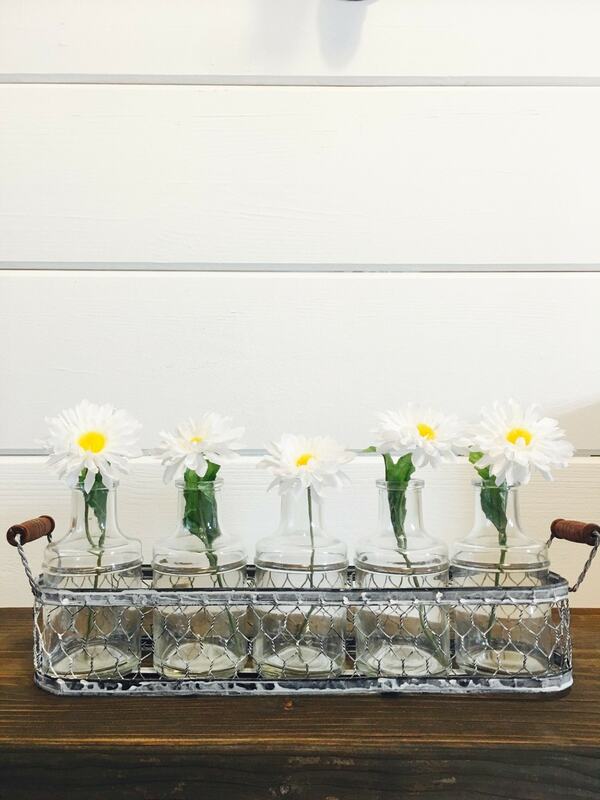 When filled with fresh flowers they can spruce up any space. I also use them to bring to friends homes when visiting. Tie a little burlap around the rim and you have an instant gift. I always line my dining table with them. 4. 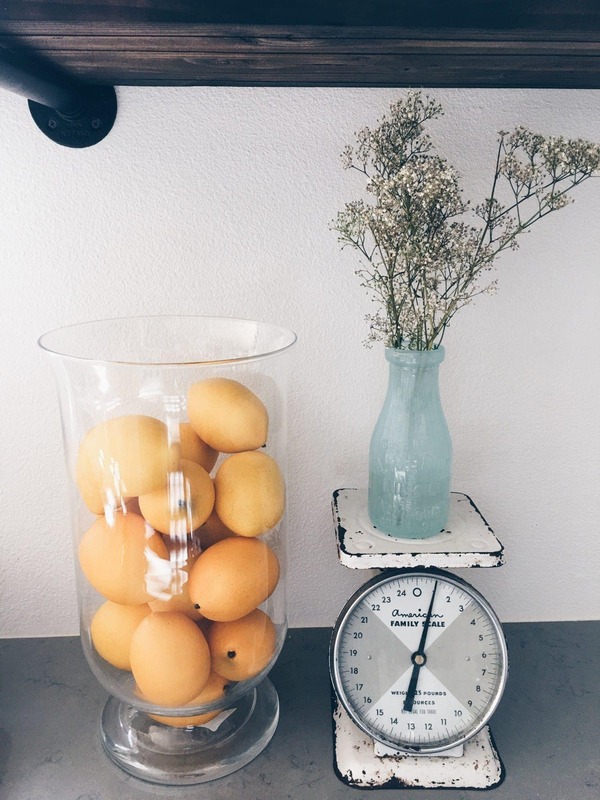 Vintage Scales, Vintage Milk Bottles, Succulents, and Lemons- A friend of mine passed down her vintage scale and the old milk glass jar I found on eBay for $1.00 are perfect vintage finds. We have succulents at our local shopping center, but you can use any small plant you find to bring in Spring. 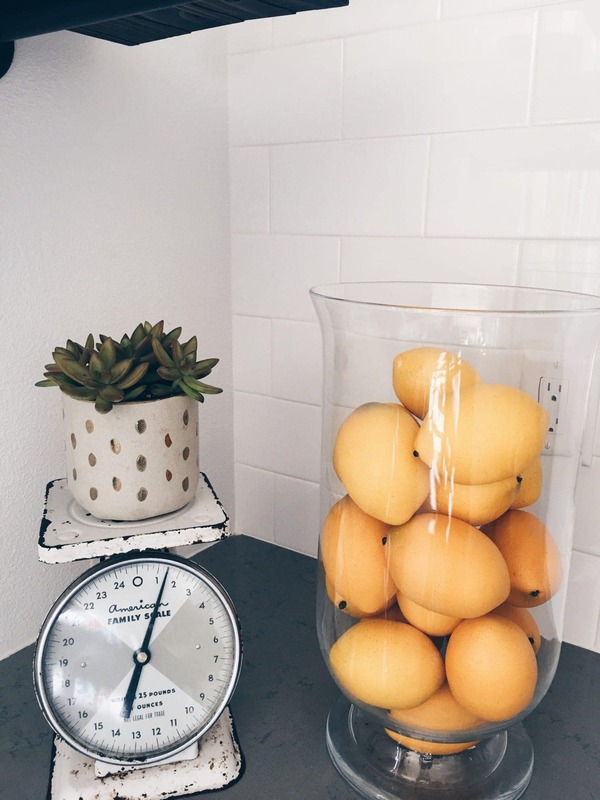 Lemons have always been an inexpensive way to bring those spring colors into your home. I found fake ones at here and they last for years. 5. 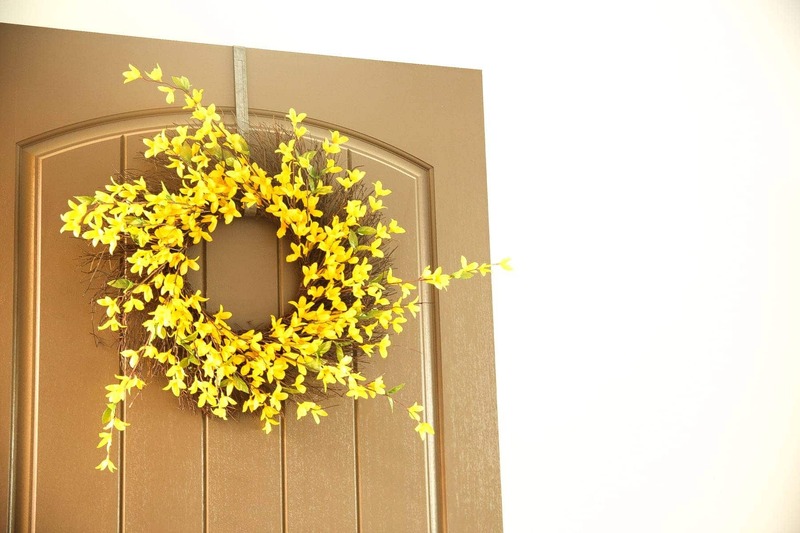 Wreaths– I am a big fan of having seasoning wreaths on my doors year round. 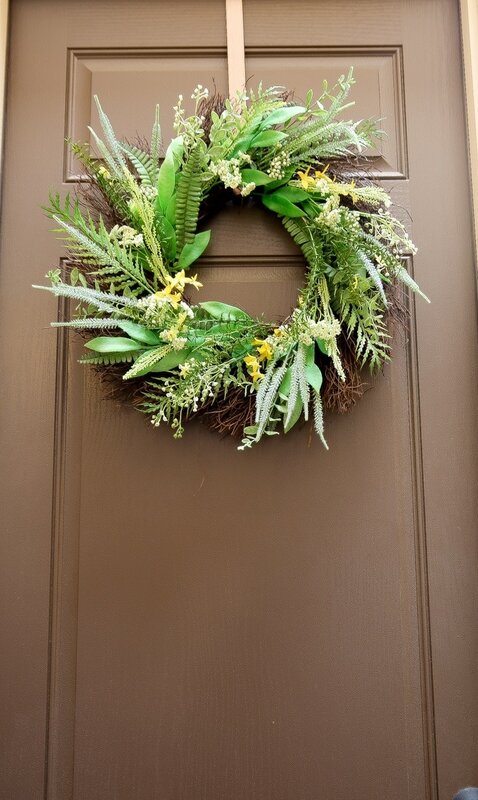 Your entryway can start the Spring Ambience you are wanting so when choosing your wreaths, choose the color you like best. 6. 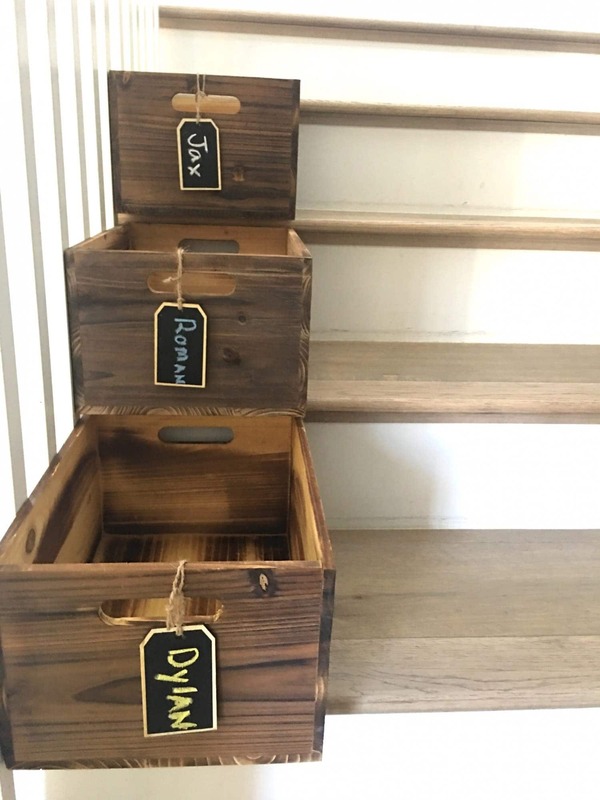 Stair Bins For The Kids– We all know that cleaning goes hand and hand with Spring, and this is exactly at the forefront of my parenting these days. 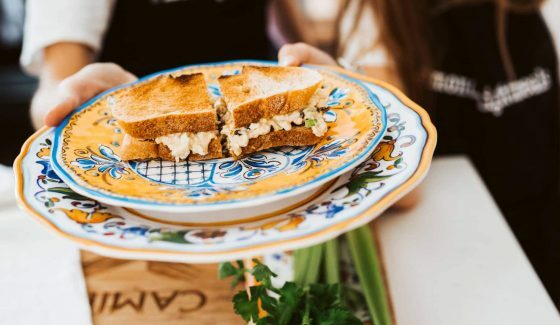 I have to thank my favorite, Joanna Gaines for this tip. 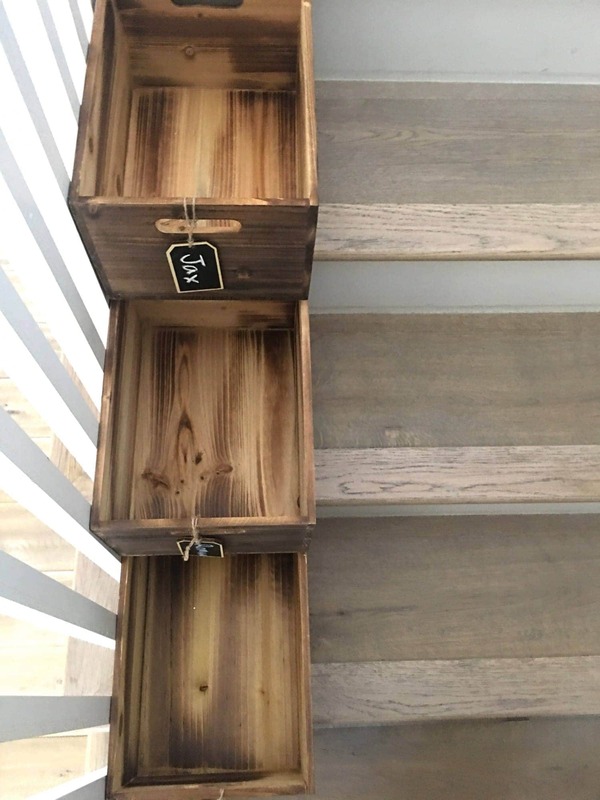 She mentioned in one of her articles that she keeps wire baskets on the stairs for her kids toys. This is genius for so many reasons. 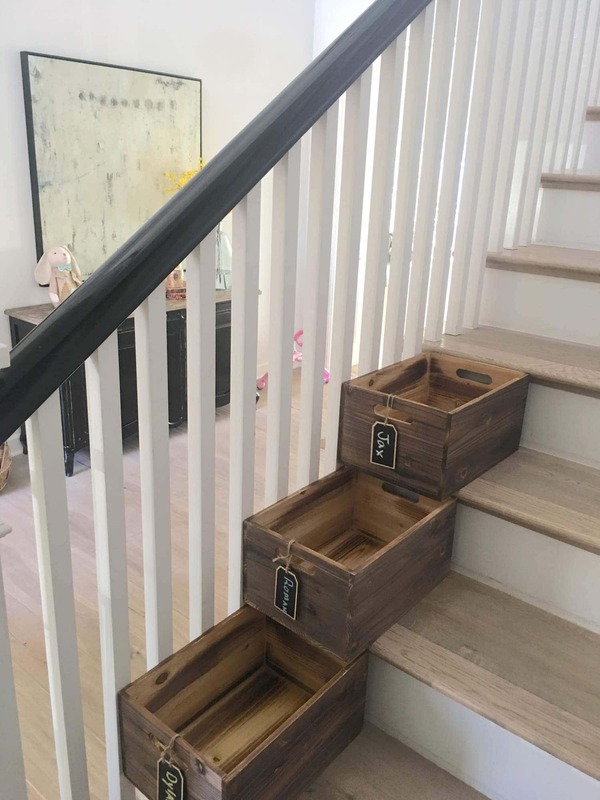 If you have kids and you have stairs you can guarantee there will be plenty of legos and barbies filling each step. When I am straightening up, I am always putting there “stuff” on the stairs for them to bring up. 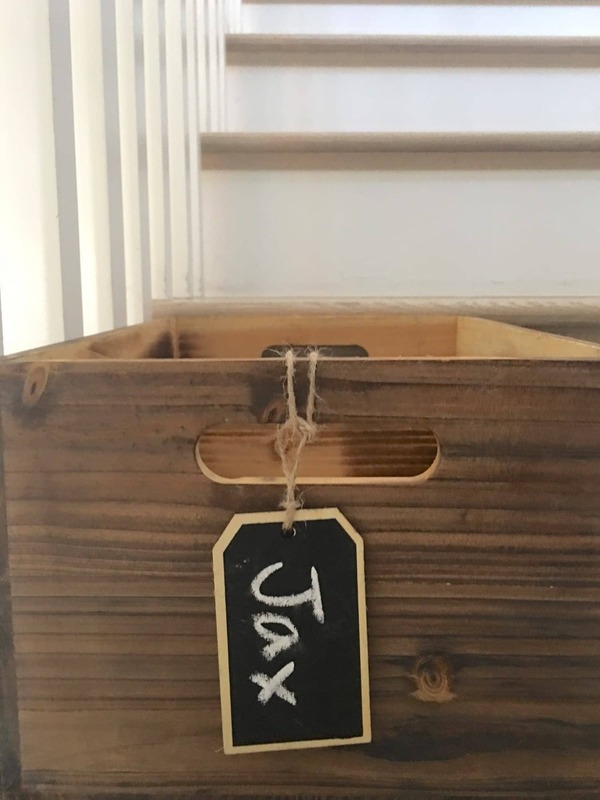 Thanks to my favorite inspirational couple, I found these bins at my local craft store and labeled them with chalk board labels. I couldn’t use wire baskets because of how tiny the legos are so I opted for a solid bottom to hold the tiny toys. Now, all the toys that they bring down, they can each bring up! Lastly, something my friend brought up to spring her house up was a lovely new broadband quote. Her family was so happy to save a bit of extra cash and have improved speeds in her home. The kids don’t have to struggle to get their videos to load now! 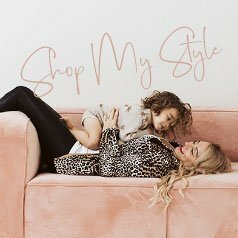 If you’re interested, check these out. 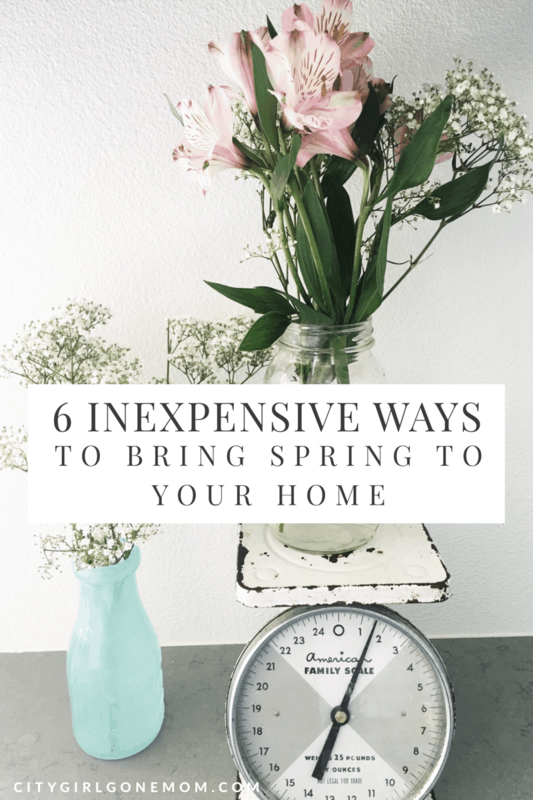 Let me know how you bring Spring into your home! Comment Below! Oh!! 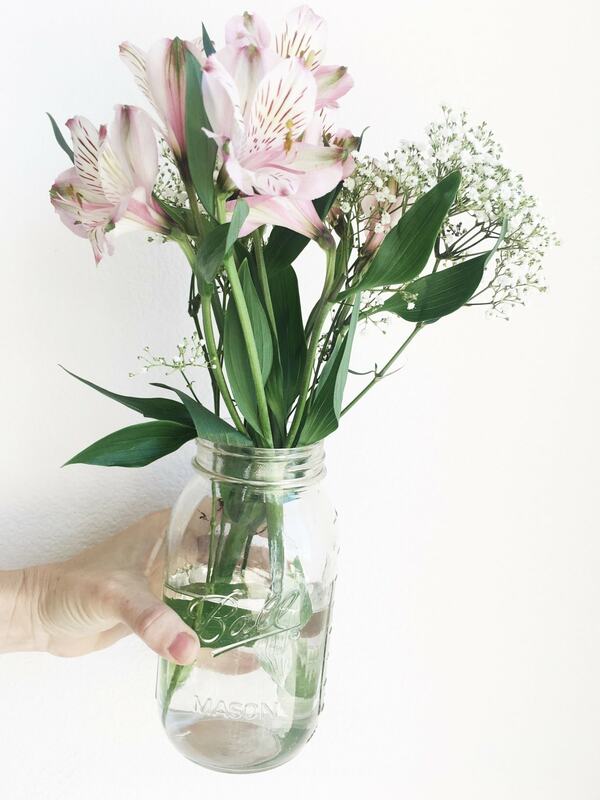 I love the smell of fresh flowers. 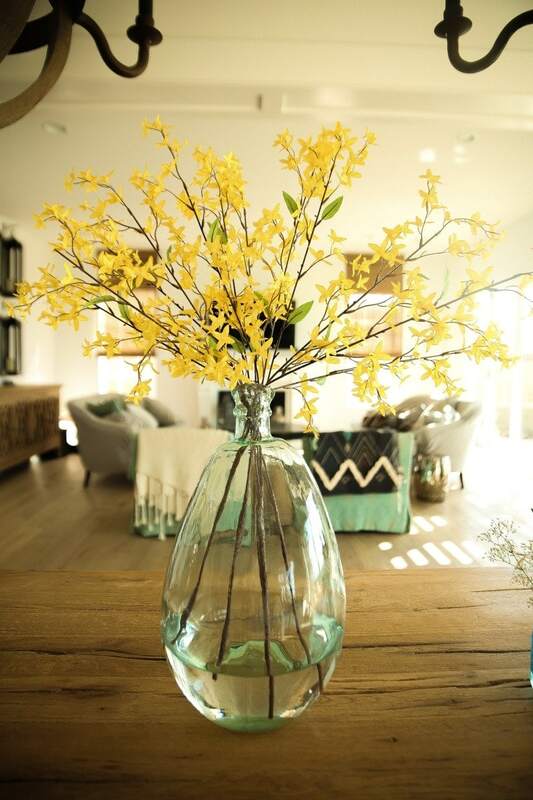 Yellow definitely brightens up the house. I am more of a candle girl. But can always choose a different scent, depending on my mood. 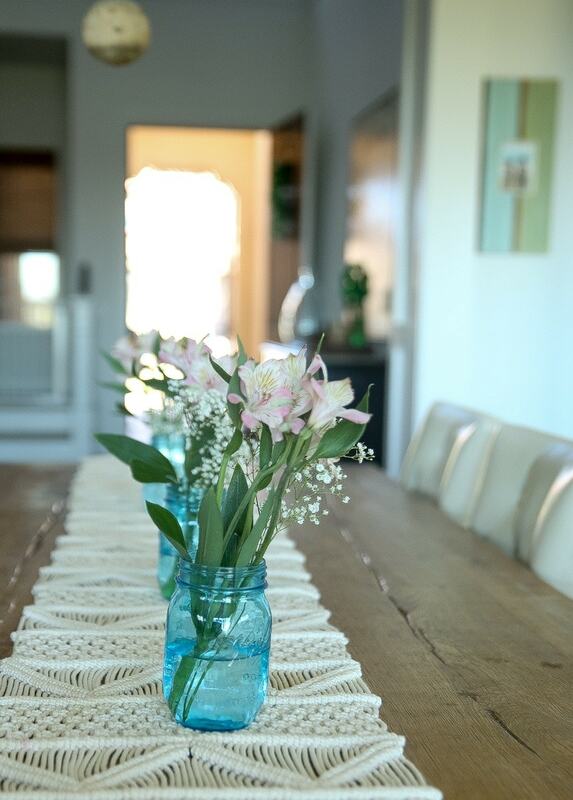 I use the blue jars as water glasses to brighten up my all-white table! And your pictures have given me an idea for when we prune our forsythia. 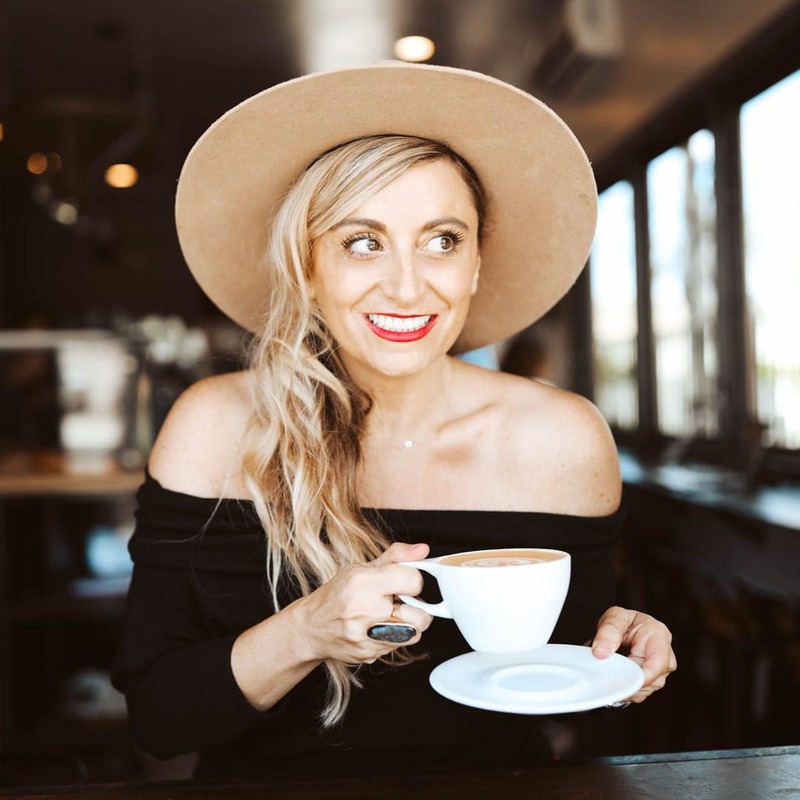 Great and very do-able ideas!! 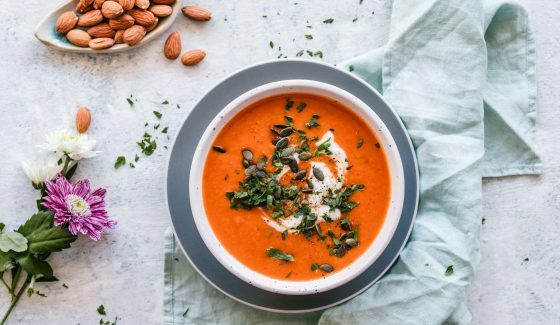 These are all wonderful ideas and lovely photos! 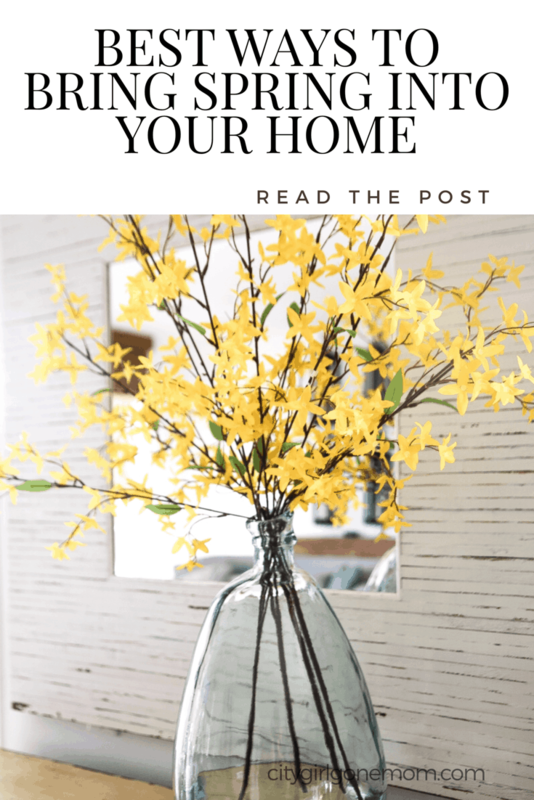 I just wanted to let you know I featured this post in round up of Spring Decorating with Forsythia.